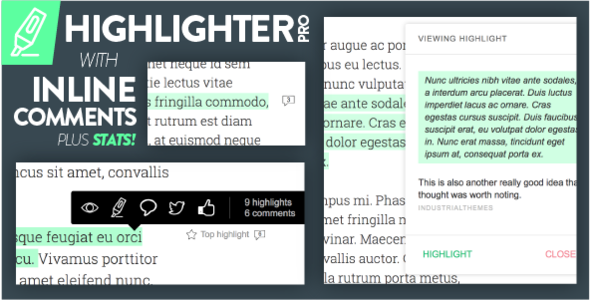 Highlighter Pro lets you highlight the text directly on the page and add notes and comments inline with your highlights. 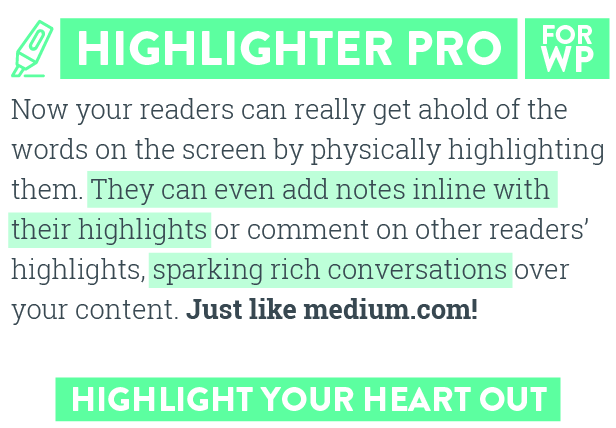 You can save and delete your highlights, view all of your existing highlights, view other reader’s highlights, and view conversations inline that other readers are having about your content. 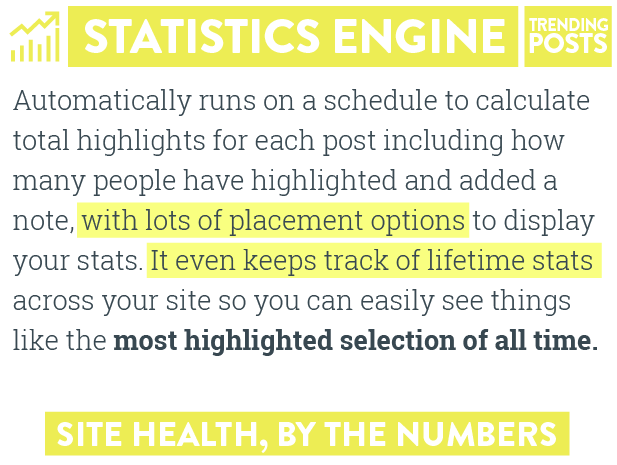 It comes with a full statistics engine that keeps track of trending posts by number of highlights, number of notes, number of total highlighters, and many other metrics to sort your posts by. It works on posts, pages, homepage, archive listing page, and custom post types. 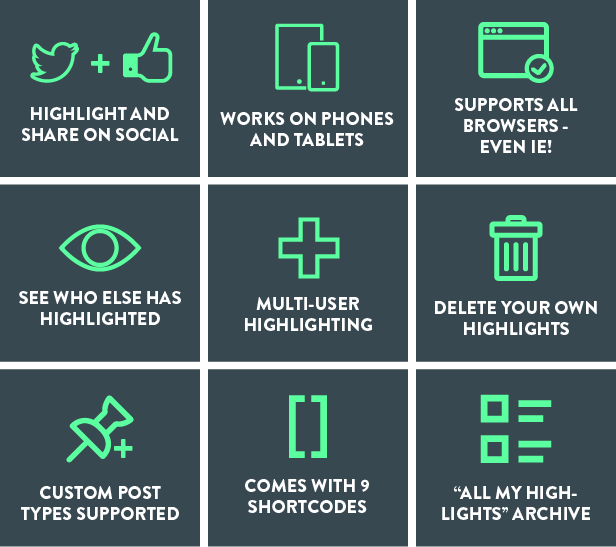 Choose which highlights display for each post, whether it’s just the top highlight, all highlights owned by the current user, or all highlights for all users on the post. 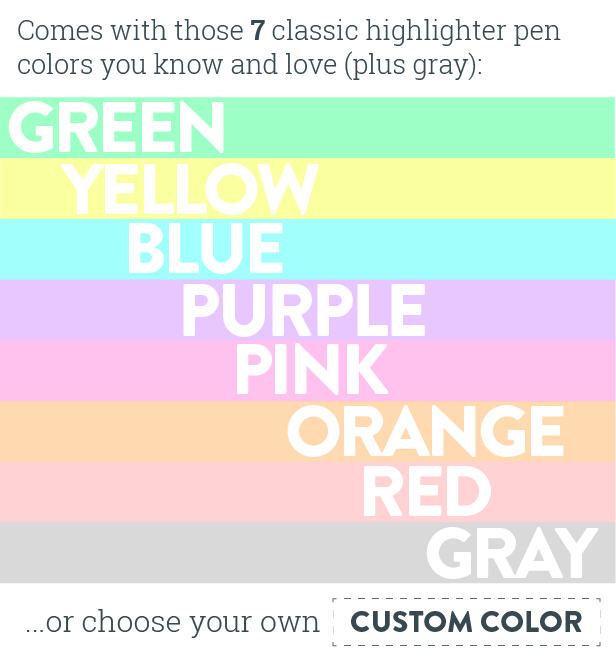 Choose how you want the highlighter labels to display, which side of the content you want them on, and many other style/placement options. Built for simultaneous use. Highlighter Pro was designed to handle large crowds. If a reader highlights some text on a post, every other reader viewing that post will see that highlight appear before they can add theirs. Complex highlights? Check. 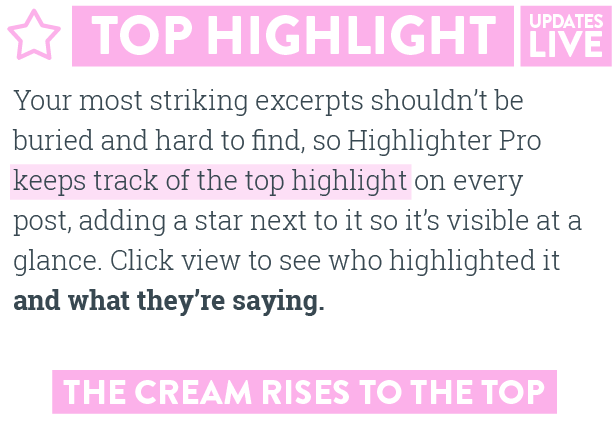 If a reader wants to highlight some text that overlaps an existing highlight, no problem! 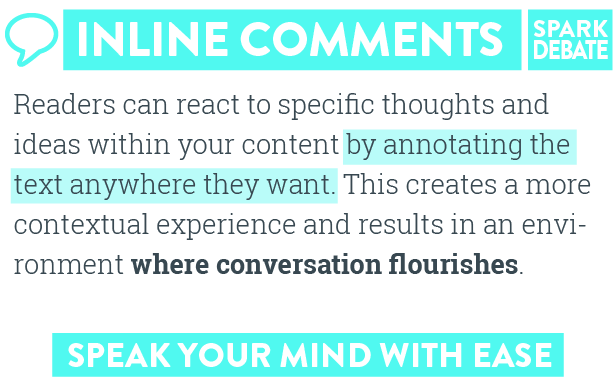 Or if a reader highlights a selection that spans multiple paragraphs which have nested highlights, that works too. What about touch screens? 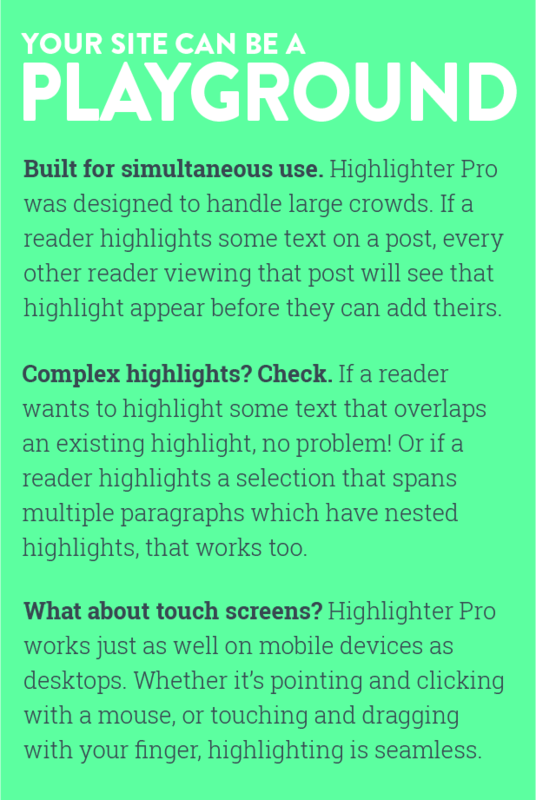 Highlighter Pro works just as well on mobile devices as desktops. Whether it’s pointing and clicking with a mouse, or touching and dragging with your finger, highlighting is seamless. Comes with 9 built-in shortcodes for displaying all kinds of information about your highlights, from the top 10 most highlighted posts, to the single most highlighted selection of all time, to a simple directory list of every single highlighted selection from your site or a specific/current user.